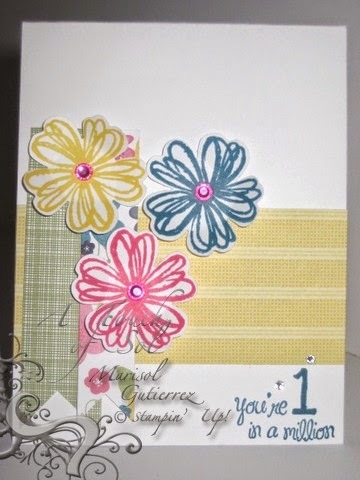 Create a card, gift, scrapbook page or whatever inspires you for Mother's Day! Here is our next Challenge for Late Night Stampers and I hope you are inspired to play with us. I have class with my Mini Crafty Chicas this weekend and they will be making their moms a Simply Adorned Necklace with 12 inserts. I am going to make them each a box of these cards to go with the class as I know the necklace will take some time to make. So hop on over for some inspiration and to add your artwork.